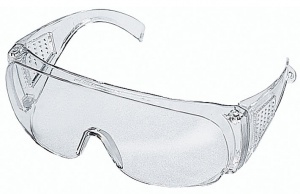 Personal protective equipment, or PPE for short, is essential for trade work. With tools designed to cut, split, chop and many more painful sounding verbs - protection is important. 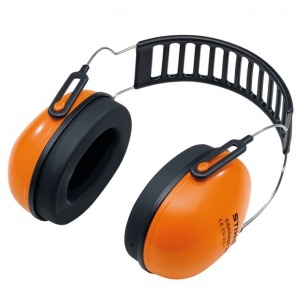 We stock the best safety equipment from world leading manufacturers - these are highly professional products that are ideal for a commercial use. 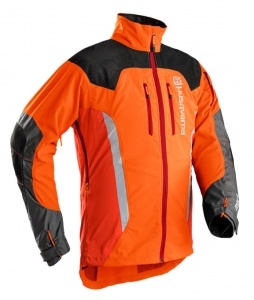 Everything from gloves, to jackets and hard-hats - robust clothing made to keep you safe. 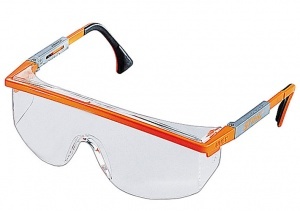 When it comes to PPE, we've got you covered - literally. These waterproof STIHL gloves are made from nylon with closed cuffs. 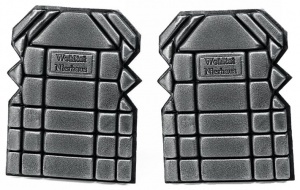 They are designed for mechanics to wear, offering high grip in wet conditions and are available in three sizes. These all-purpose work gloves are made of a canvas material, which combines pig skin with cotton for softness and insulation. They are also lined, increasing comfort further. 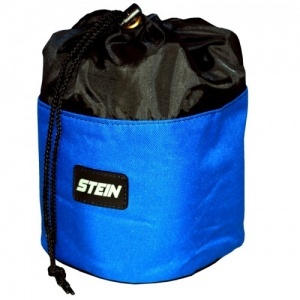 Three blue Stein large tool clip, with snap gate carabiners, are deal for saw attachments, throwline kits, or any other climbing duty. Constructed of very strong aluminium. 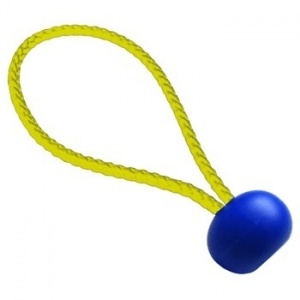 The Stein retriever ball is fitted with a 32mm plastic ball, and a 6mm heavy duty bungee cord, which is 11cm in length. These universal work gloves use a PES knit to the back of the hand and fingers, with a heavy-duty latex coating on the palm. This makes them breathable while still being suited to use in wet conditions. 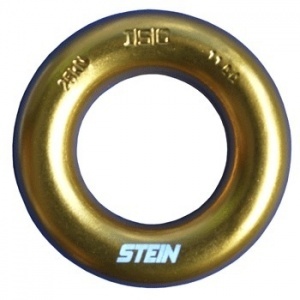 The gold Stein arborist aluminium ring is 46mm in diameter, and 12mm walls, with a rating of 25kn. 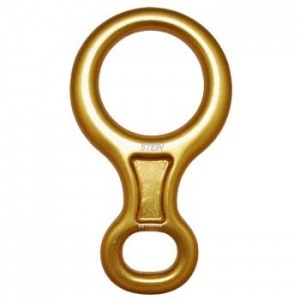 The Stein anchor plate is designed to be used with the Vega harness. Just simply thread onto the accessory cord used to make the gear loops on the harness. 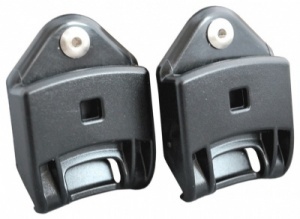 The Kask euro adaptors are to be used with the helmet mount ear defenders. 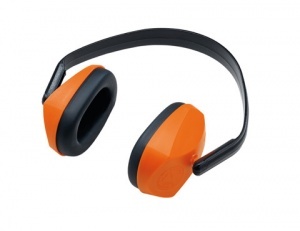 They're required to mount ear defenders to the plasma and super plasma Stein helmets. 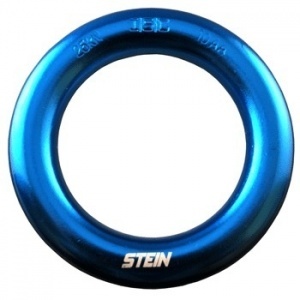 The blue Stein arborist aluminium ring is 46mm in diameter, and 12mm walls, with a rating of 25kn. 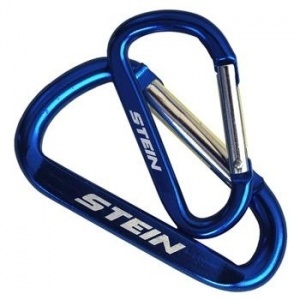 The Stein bent gate carabiner is designed for securing tools and equipment. Constructed of anodised aluminium, which is 100% tested and inspected. 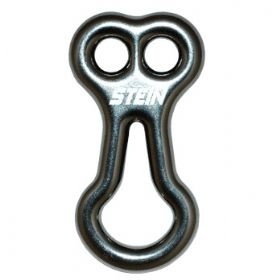 The Stein figure 8 is constructed of strong aluminium, with a minimum breaking point of 25kn, and designed to take rope diameter of 9mm - 13mm. 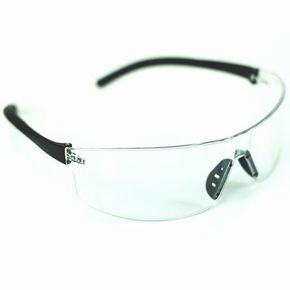 The safety glasses are specially designed with flexi-shape technology for great comfort, and versatility. Available in orange or yellow. 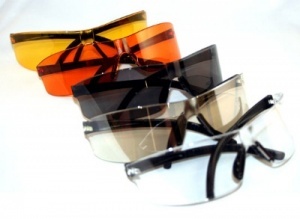 The Stein orbit safety glasses have been specially designed with flexi-shape technology for increased comfort for the user, with a colour option of clear, or dark. 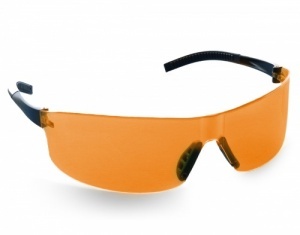 The yellow safety glasses are specially designed with flexi-shape technology for great comfort, and versatility. STIHL's black knee protectors are compatible with knee pockets of all standard work trousers, designed to be inserted into knee-pad pockets and meeting BS EN 14404. 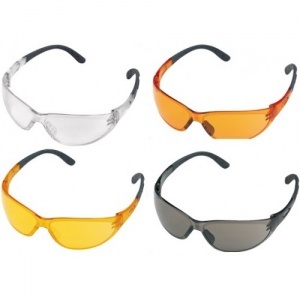 These safety glasses, available in tinted and clear varieties, feature an adjustable and replaceable visor, as well as adjustable arms and side protection. With 100% UV protection and conforming to EN 166. STIHL LEATHER universal five fingered work gloves are made from cowskin leather and provide a good comfortable fit, designed for universal use. Available in S, M, L, or XL. 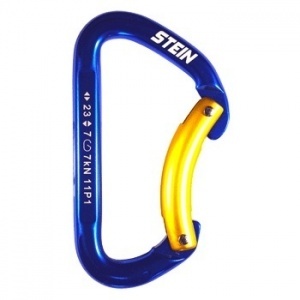 The Stein rescue knife is designed to be attached to a carabiner whilst climbing. 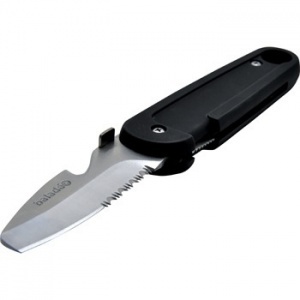 Features include an impressive half serrated stainless steel blade, with a round tip.